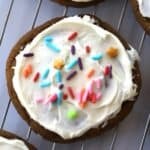 These Molasses Cookies are soft and chewy! 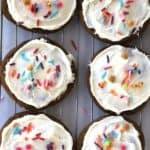 This delicious cookie recipe is made with simple ingredients and can be enjoyed with or without frosting. Happy baking! 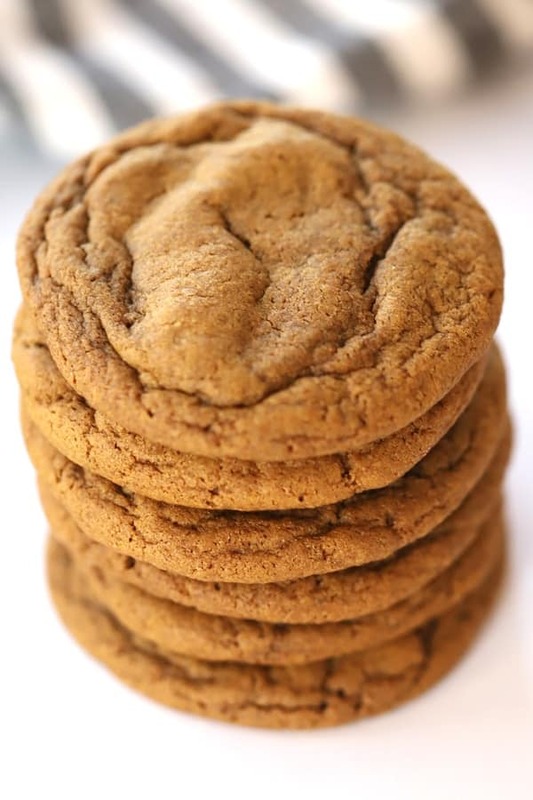 If you love soft molasses cookies, then you’ve got to try these. 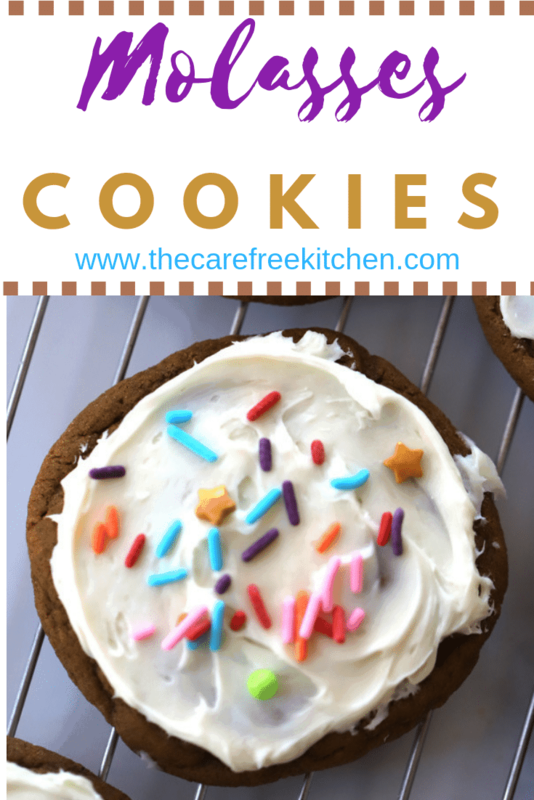 This is the best molasses cookie recipe for you! These chewy molasses cookies are the perfect little cookie! So good! 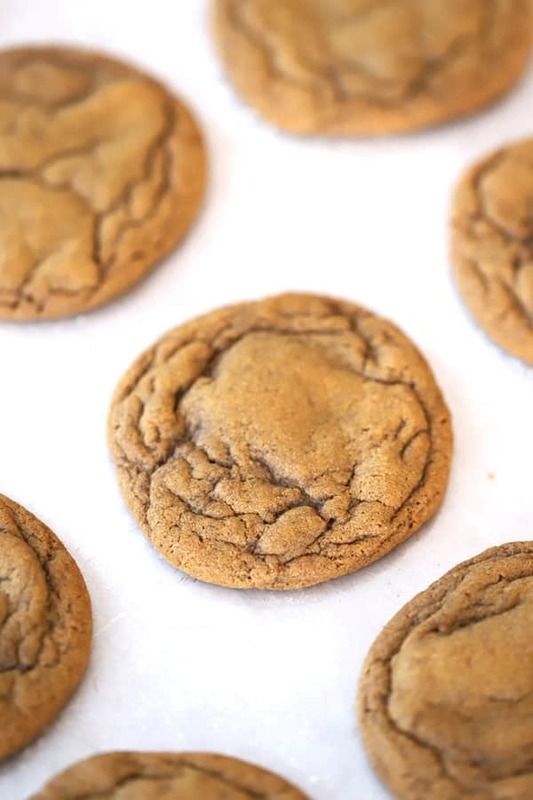 They’re made with butter, sugar, molasses and all the ingredients that make a knock-out cookie recipe. 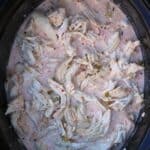 They can be made for any occasion but we love making them around the holidays. You also may want to double the recipe. They’re that good! These cute cookies are the perfect neighbor gift or treat for your favorite teacher. 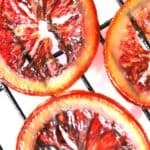 They’re perfect with a buttercream frosting or a lemon glaze! It’s the perfect pair. 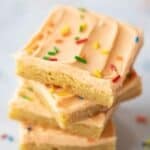 If you’re looking for some other fun Christmas cookie recipes, you might try these other delicious cookie recipes too. They are so good too! However, if you’re a fan of ginger molasses cookies, here ya go! 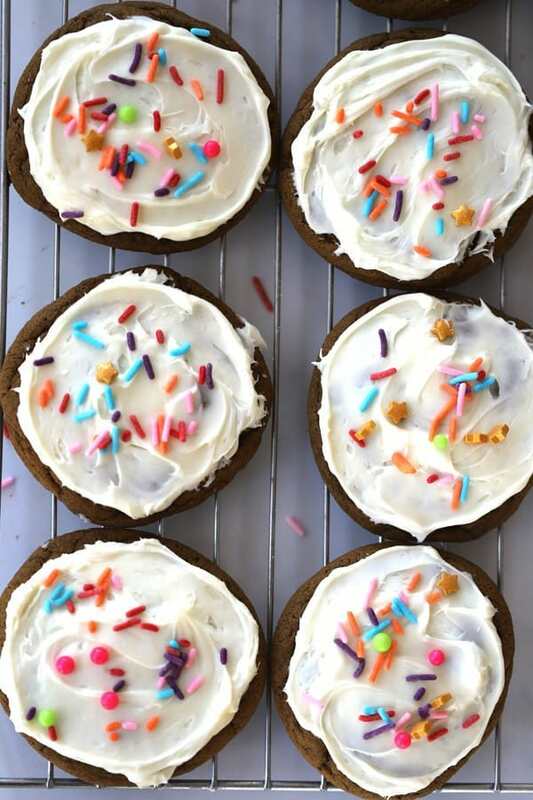 These molasses cookies are incredible! This molasses cookie recipe is made with simple ingredients and makes the most delicious soft molasses cookies. 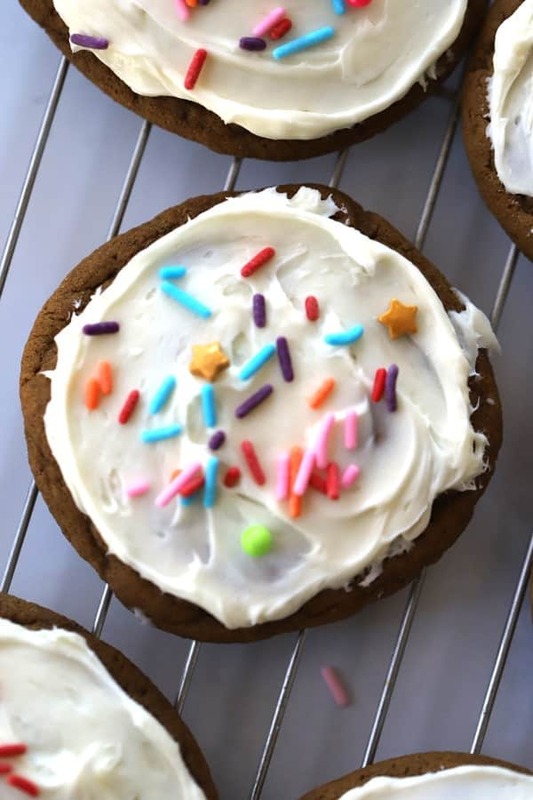 These ginger molasses cookies are chewy and can be made with or without frosting. Happy baking! 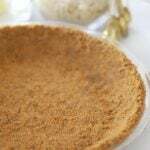 In a different medium-sized bowl, combine the flour, baking soda, cinnamon, ginger powder, ground cloves, and salt. Mix with a wire whisk until mixed thoroughly. Roll the dough into 1 1/4" balls and place them on a greased cookie sheet. 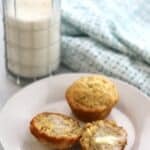 Bake in a 350-degree oven for 10-12 minutes or until lightly golden on the edges. Take the cookies out of the oven and let them cool for 5 minutes before placing them on wire cooling racks.